Navigate through Main menu and click on Admin menu. Now select Move In tab. Select Invoice Period sub tab. Set Is Active to Yes and click on Update. 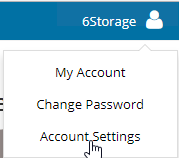 Once done Click on User icon from the main menu, Choose Account Settings. 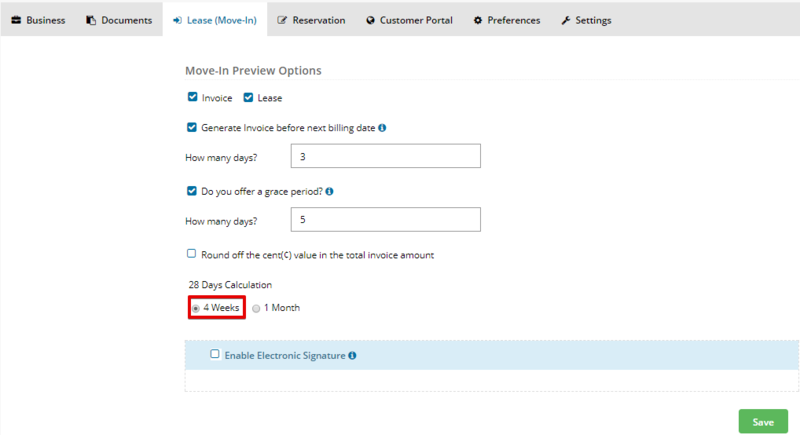 From the Account Settings page, Click on Lease (Move In). Based on your requirement choose 4 week billing or monthly (28 day billing cycle). Note: The 4-Week Billing Cycle would be applicable only to Unit Price. Insurance & Service will be charged based on the Monthly price. Now to go Move In page to see the changes. Under Move In Information section choose Invoice period to 28Days, billing will be shown for the selected days.